The Desert Renewable Energy Conservation Plan (DRECP) created a Land Use Plan Amendment to the California Desert Conservation Area (CDCA) Plan. 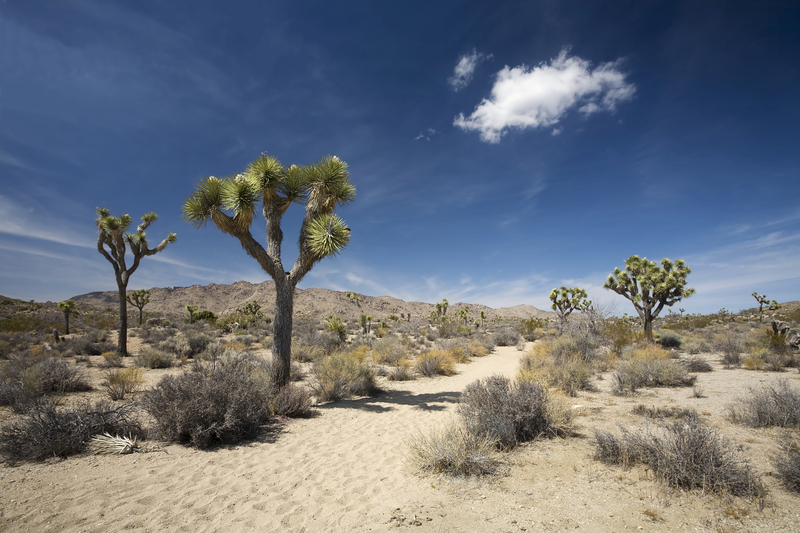 The DRECP focuses on the Mojave and Colorado desert regions, and identifies geographic areas on BLM-administered public lands that are designated for renewable energy development. It also identifies areas for conservation and for management of protected species, and it establishes additional protections for recreation lands. Aspen and its subcontractors provided extensive and varied support to the California Energy Commission (CEC) and the U.S. Bureau of Land Management (BLM), through a multi-year contract with the CEC. Our final year of work has been under contract directly with the BLM. The CEC and BLM were the lead agencies under CEQA and NEPA, and published a joint Draft EIR/EIS in September of 2014. At this point, the BLM completed DRECP Phase 1 with the publication of a Final EIS in November of 2015, and the Record of Decision was signed in September of 2016. DRECP Phase 2 will be primarily managed by the CEC in coordination with the Counties, and will address renewable energy development and conservation on private lands. DRECP Management. Aspen subcontractors Robert Copper, David Harlow, and Chris Beale (Resources Law Group) served as Directors for the DRECP and provided support to the Energy Commission, BLM, and the other agencies of the state and federal Renewable Energy Action Team (REAT): the California Department of Fish & Wildlife and the US Fish & Wildlife Service. The Director also coordinated with the Natural Resources Agency, the Governor’s Office, the REAT sub-teams and participating federal and state agencies. Data Collection and GIS Support. Aspen subcontractor Aerial Information Systems (AIS) conducted extensive vegetation mapping in the DRECP area. Vegetation mapping involves identifying, locating, classifying, describing and characterizing, and verifying vegetation communities, and producing maps that geographically represent the characteristics of the vegetation communities. GIS services were needed to support this work and the very extensive biologically-based support materials being generated to develop the DRECP documents. Aspen Team member Dudek oversaw and conducted the majority of the GIS work, with support from AIS and Aspen. Dudek also identified the key biological resources data and assembled an initial GIS database, including establishing protocols for sharing information among team members. Aspen also provided GIS analysis and mapping support, working from GID base maps to add/subtract new geographically reference data and modify the visual representations to represent various DRECP planning activities and analyses. Technical Support and Preparation of Plan Documents. Aspen’s management team worked with the CEC, BLM, and other REAT team managers to define the outline and format for the joint Draft EIR/EIS. Team member Dudek lead the efforts related to biological resources and development of the Plan itself (definition of conservation areas and development areas). Working with the DRECP Directors and REAT agency representatives, Dudek prepared draft conservation plan outlines and approaches. Key actions completed by Dudek included preliminary and final descriptions of Covered Species (covered species, natural communities, ecological principles and processes) and Covered Activities (including megawatts and acreage resulting from footprints associated with all aspects of renewable energy generation and transmission). This information contributed to the Draft Framework Conservation Strategy Report. The Aspen team, which also included Ascent Environmental, Recon Environmental, and other specialty subcontractors, developed additional documents including: Draft Alternative Conservation and Implementation Strategies; Preliminary Costing and Funding Analysis; NCCP/HCP Conservation and Implementation Strategy; NCCP/HCP Administrative Draft Plan; Public Draft NCCP/HCP; and Science Panel and additional science outreach. Draft EIR/EIS and Final EIS. During 2014, the Aspen team prepared the Draft EIR/EIS, presenting analysis of the agency-preferred alternative and several other alternative plan configurations. The Draft was published in September of 2014, and was followed by a series of workshops in October and November of 2014, where Aspen team staff explained the document and the alternatives to the public. Comments were accepted by the lead agencies into 2015, and the Final EIS was prepared, including responses to all comments on the Draft EIR/EIS. Support for Record of Decision (ROD) and final Land Use Plan Amendment (LUPA). During the second half of 2016, the Aspen team (Aspen and Dudek) supported BLM in the finalizing and publication of the ROD and LUPA.